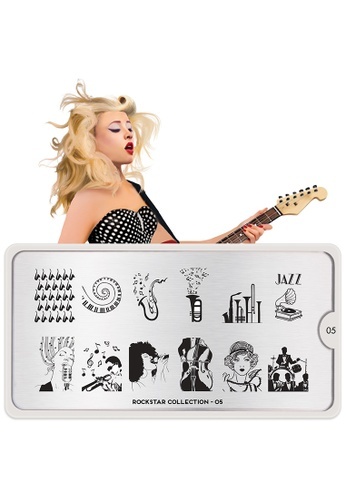 This stainless steel plate includes 32 different templates to match your playful mood. Each case comes in its own protective sleeve and a free nail polish. Can't find Rockstar 5 Free Nail Polish in your size?